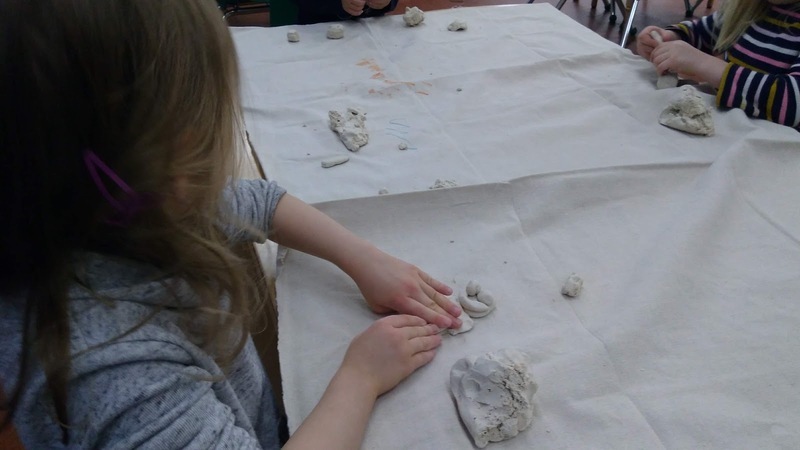 Clay time on Tuesday afternoon. 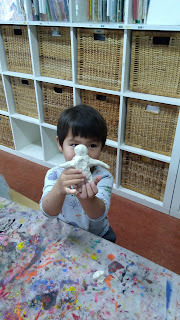 One Tuesday afternoon, 5 children enjoyed time with clay. 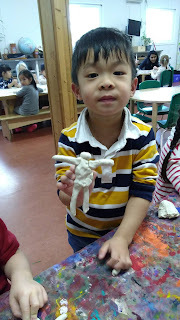 Some of the children decided to make "a human " like they did last Friday with the other kind of modeling materials. 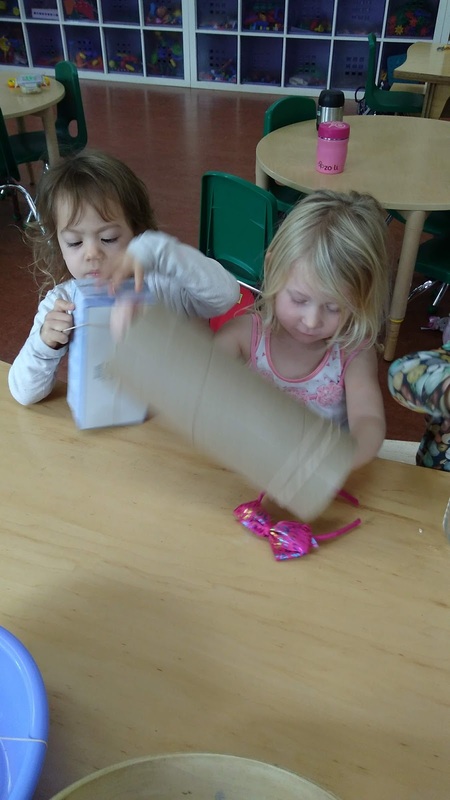 While I was making my " little human" and trying to show "movement" such as helping her bend her knees, Elise and Emma began making accessories for her. Elise: " She needs some food. Here is a sandwich." Then a backpack was made " Now she can go on a picnic." 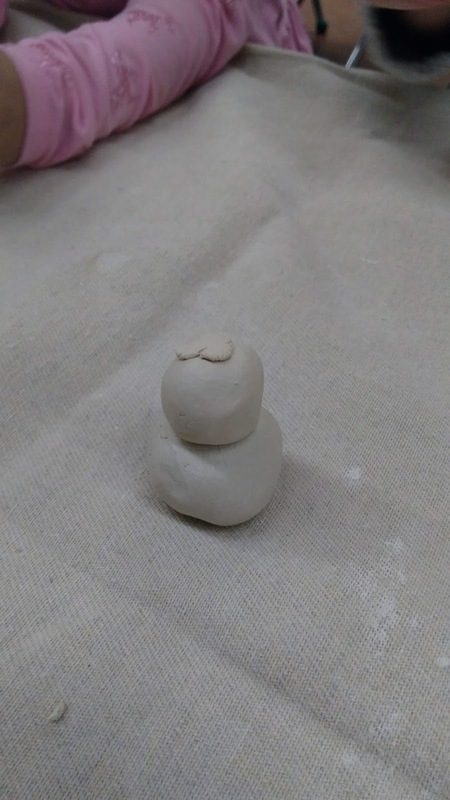 And Emma made a tiny blanket for the snowman. Lina made a ginger bread man that later turned into a hamburger just before it was eaten! This started a whole cafeteria of food being made and shared. 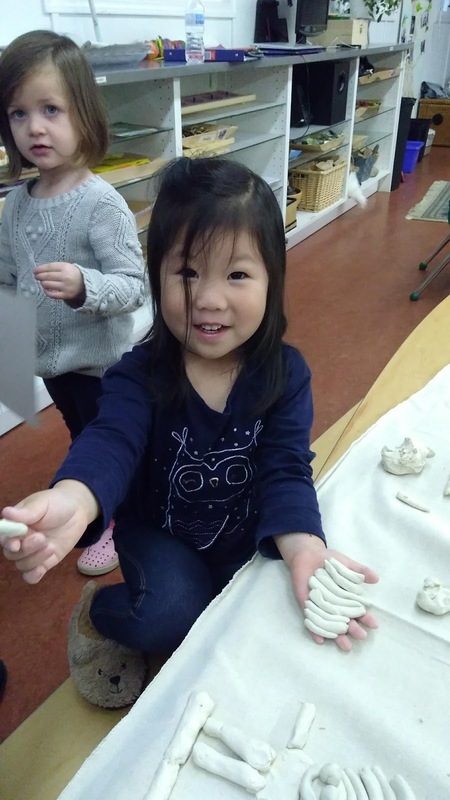 The wonderful thing about being with the children was not only in what they were able to make with the material but with how they shared delight in ideas and processes with one another and with me. They showed so much flexibility of thought and play as they transformed one objected into another. 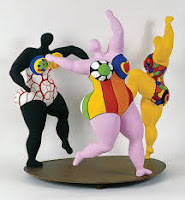 The power in this creativity is something that will help me in my own practice. 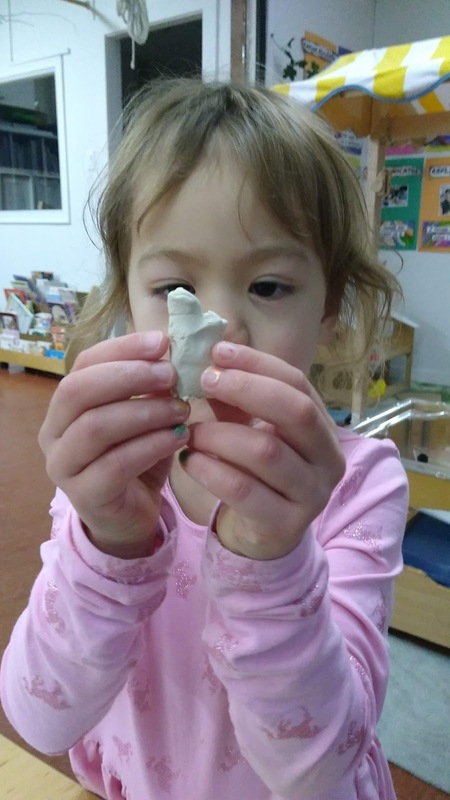 We have started to explore clay inspired by Niki de Saint Phalle. 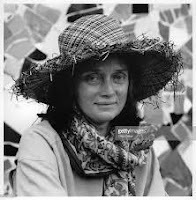 She was a French - American sculptor, painter, and filmmaker. She was one of the few women artist widely known for monumental sculpture. 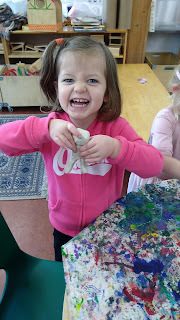 Before we started the our art project, we explored the differences between playdough and clay. 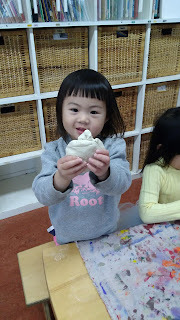 Most of the children had not touched clay before so we needed to take time and not rush this important step. 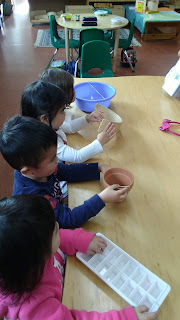 They noticed a lot of differences between playdough and clay, among them being the temperature, texture and the weight. We showed a few images of some of the artist's work. 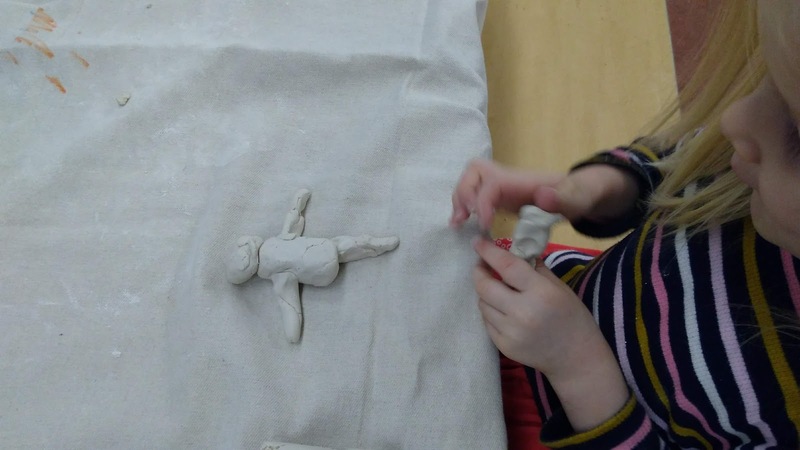 This was our entry point into the idea that clay can be used to express movement. 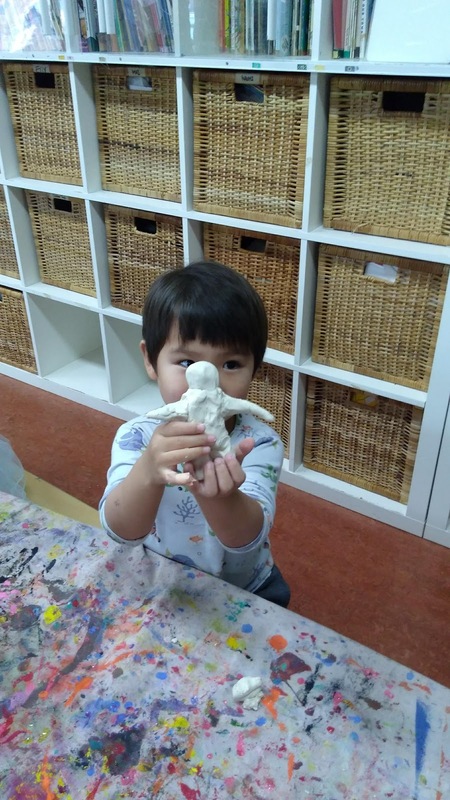 We started to explore making a human and we remembered from Picasso's work that sometimes there are different ways of expressing the human figure. 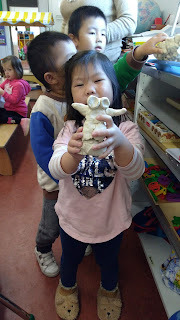 We talked about the parts be often see when we play with one another. 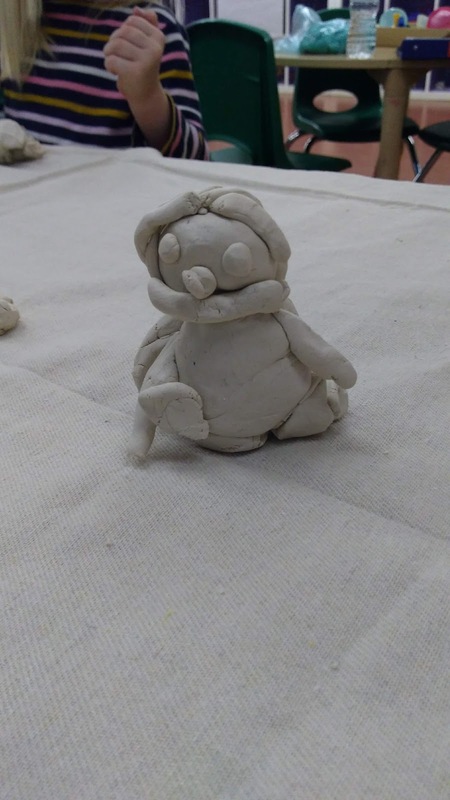 Arms and legs turned out to take a bit of practice when using clay, but the children enjoyed the challenge. And we noticed it is difficult to connect to each part of the bodies...and clay is a bit harder than making arm and legs. 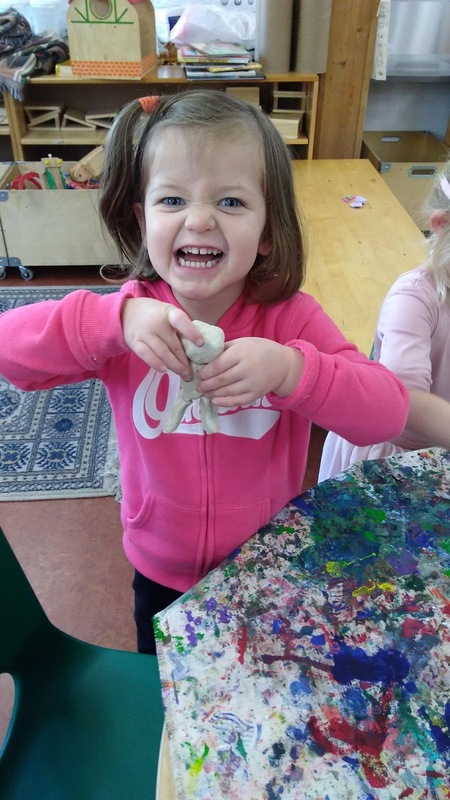 Clay play helps the children to develop their hand and eye coordination as they pound, pat and push the clay into shapes and objects. And all the teachers delighted in the joy these children expressed through their engagement with this earthen material. Group time on Tuesday 13th. 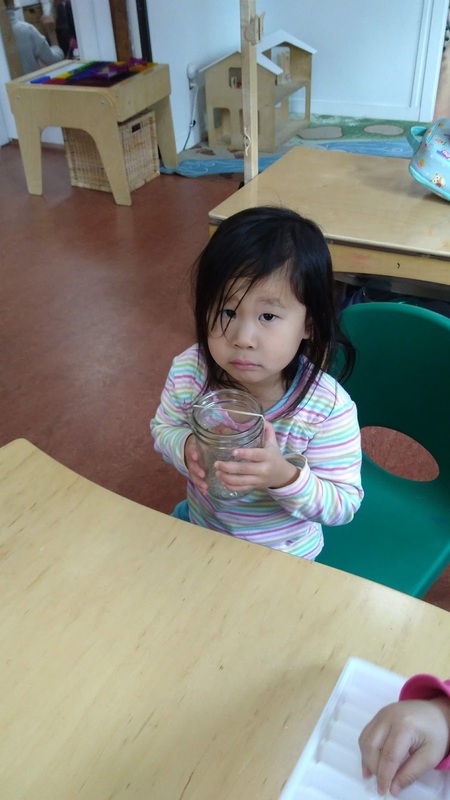 In this inquiry, we will explore sound. The Maple group used some elastics to explore the sounds we could make with this tool. 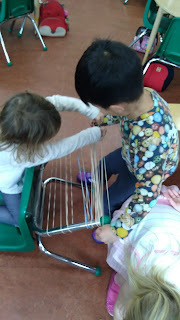 A child offered that we could make sound by pulling the elastic so we all tried to it. But we couldn't hear a sound. 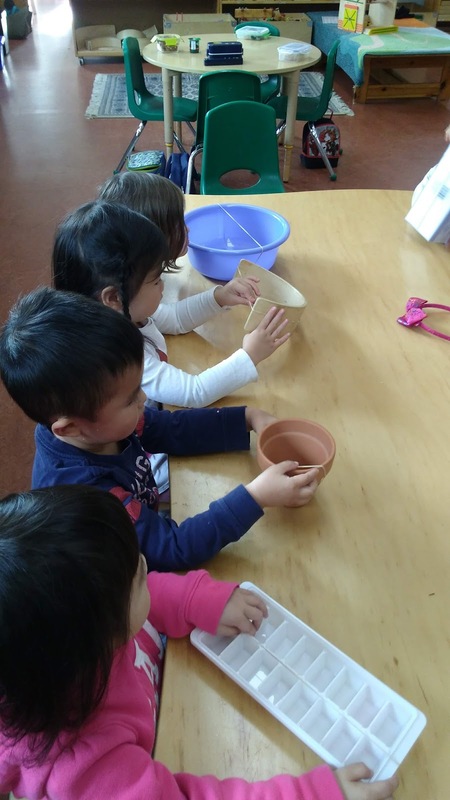 So that led us to putting the elastic on some of the things we found in the classroom such as glass jars and a clay pot, an ice cube tray, wooden trays, big paper tubes and our chair legs. 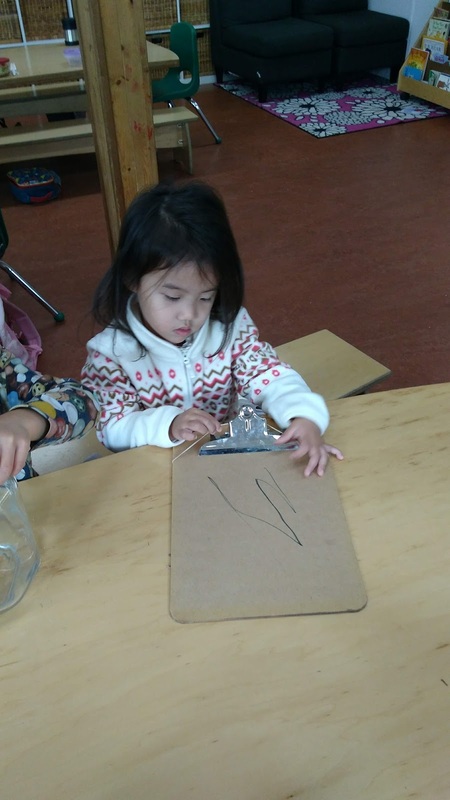 We found many ways to make the sound, we could hear with these tools. Our important observation was that the elastic vibrated like a wave. Our hands wavetoo. What does this help tell us about sound? We will found out some mre as we continue to explore.